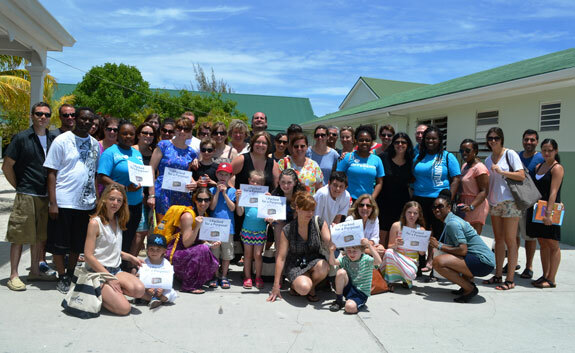 Early in the morning, before the sun was up on May 17th, we started our Pack for a Purpose trip to the Turks and Caicos. My husband Scott and I had been invited as guests by the Beaches Turks & Caicos Resort Villages & Spa to participate in a Reading Road Trip. 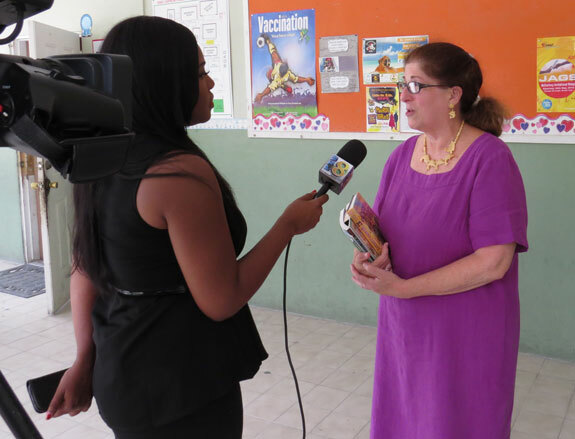 All of the Sandals and Beaches resorts across the Caribbean are participants on the Pack for a Purpose website and over the past three years they have received hundreds of pounds of school supplies and storybooks from their generous guests. As soon as we received the invitation, which was a wonderful surprise, we shifted into high gear / PfaP mode. We contacted our incredible partner Sharon Luggage and asked them to send us four gently used suitcases that we could pack the supplies in and leave behind on the island. The next step was collecting the supplies. 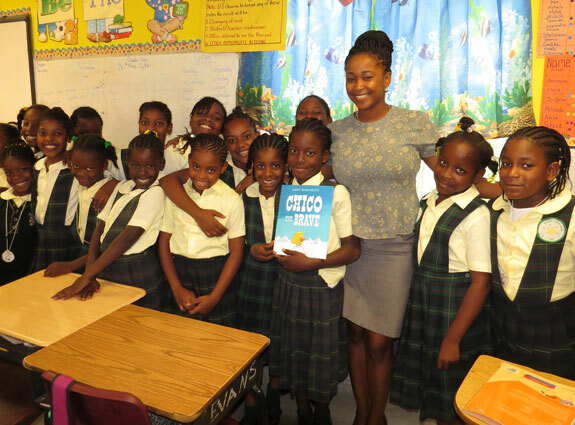 Liz, the Partnership Marketing Director for the Sandals Foundation which organizes the Reading Road Trip program, had placed a high priority on storybooks for the school library. 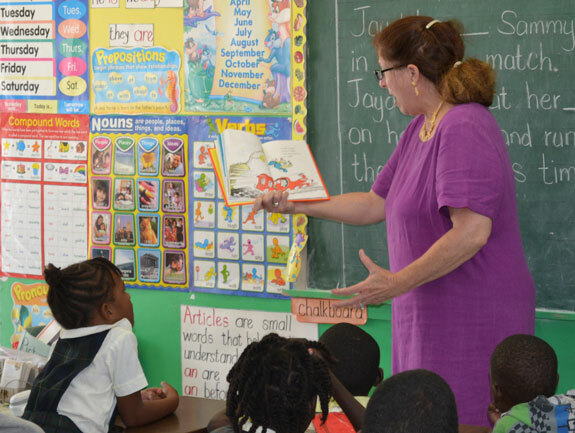 Encouraging literacy in all children is a key component of their success in school. 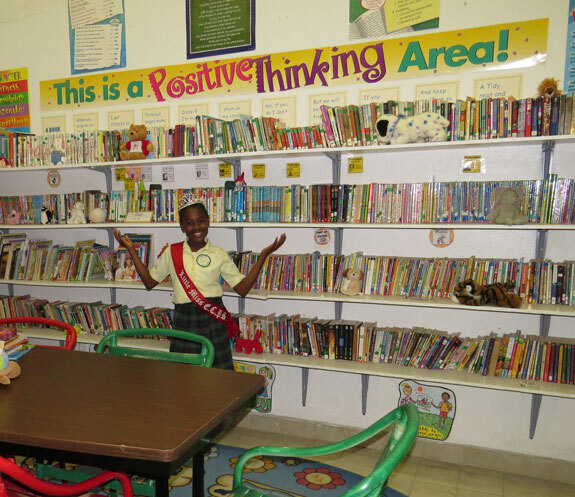 Providing books for children in a school library is fundamental to making this happen. 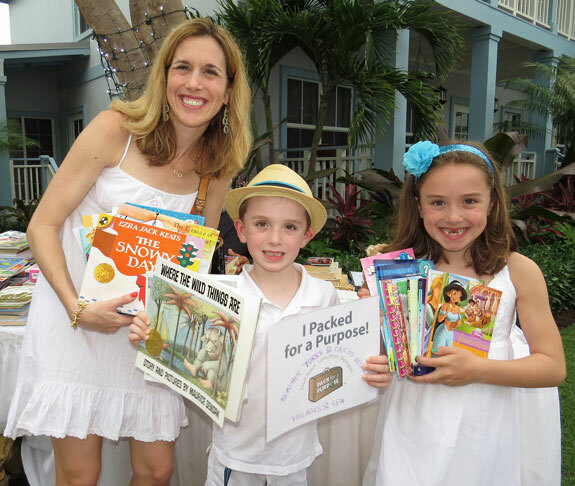 Alex, a remarkable young woman who has volunteered for Pack for a Purpose on several occasions, immediately came to mind as a source for the books. She is a rising senior at Enloe High School here in Raleigh. 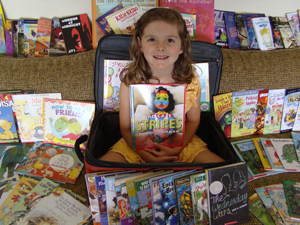 After our brief call, Alex assured me that she would be delighted to organize a book drive at her school and was confident that she could collect all of the books we would need. 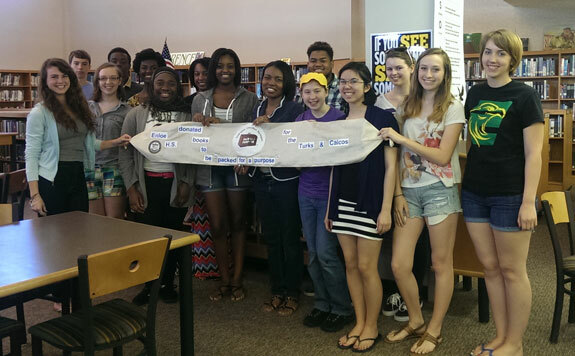 With the assistance of Key Club and the National Honors Society the book drive commenced and one week later they had collected 65 books (all that we could carry, given the weight restrictions on luggage). Alex brought them to our home, sorted through them to make sure they were all appropriate and in excellent condition, and weighed them to make five pound stacks, ready to be placed in the luggage. Ruben, an intern at SOCCER.COM, a local company which is providing us with soccer balls, brought over a duffle bag filled with soccer balls which were requested items from the school’s needs list. This was the second time, in less than two months, that SOCCER.COM had donated soccer balls through the US Soccer Foundation’s Passback Program. On to school supplies! Tom Sixta, Group V.P. of Sales at United Stationers, once again came to the rescue. Tom had “packed for a purpose” when he climbed Mt. Kilimanjaro in 2013. He was so impressed by the experience that he reached out to me with an offer to provide school supplies whenever possible for any Pack for a Purpose trips I would be going on. I sent off the e-mail, and two weeks later, over one hundred pounds of requested school supplies arrived in Raleigh. Two more amazing volunteers, Laurie and Tate, packed the bags. By using the information on our “How to Pack” page, they minimized the weight, recycled excess packaging here, and maximized the available space in each suitcase. The grand opening gala for the opening of the Beaches’ newest village, the Key West Village, took place Sunday evening, the day after we arrived at the resort along with many other invited guests (including media). 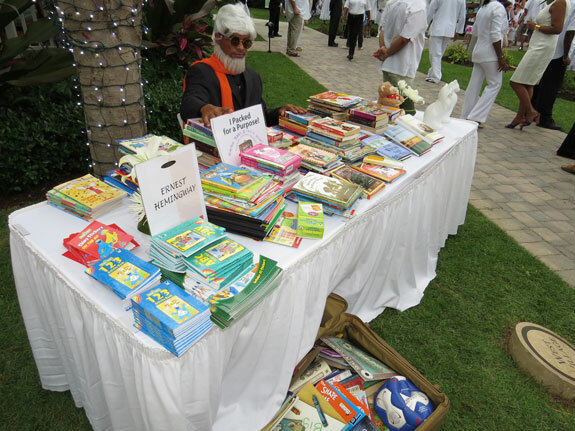 The invitation that was sent out included information about Pack for a Purpose and invited those who wished to participate to bring children’s books for the school library. The party started at 5:30 p.m. Everyone was asked to wear white and we looked like a flock of seagulls under a Caribbean sky. A table had been designated for the collection of contributions. By seven, it was overflowing with books for the library! Scott and I spent the first few hours taking photos of the generous guests who dropped off books and school supplies, handing out Pack for a Purpose cards, and generally being enthralled and overjoyed by the generosity of the attendees. Tuesday was truly the highlight of our trip, as we were able to experience the Reading Road Trip firsthand. All of the participants (there were over thirty of us) piled into a white school bus, bringing back memories from the distant past. 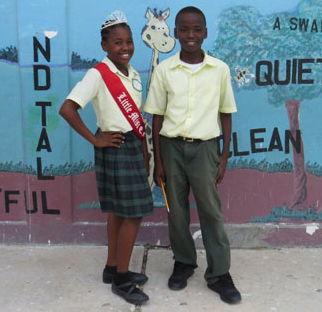 When we arrived at Enid Capron Primary School, a reception committee awaited us which included Little Miss Enid Capron. Rachel Taylor, the principal, greeted us and assigned us to a classroom and activity. Some of us would be reading books and others would be provided with lessons to teach to the students on topics such as endangered species. Before being escorted to the classroom, I was asked to give an interview by Ange Toussaint for PTV8 News, who was covering the event. Arriving at my assigned classroom, I had the joy of being able to read Green Eggs and Ham to a group of third graders. Who doesn’t love Dr. Seuss? What a gift to be able to read to children! There is no greater feeling than that of being enveloped in the enthusiasm and exuberance of a classroom full of third graders engaged and enthralled with the magic of a story. Scott was having an equally wonderful experience in a different classroom, reading Chico the Brave to another group of third graders. Afterwards, the class asked if he would take their picture and of course he was happy to oblige. 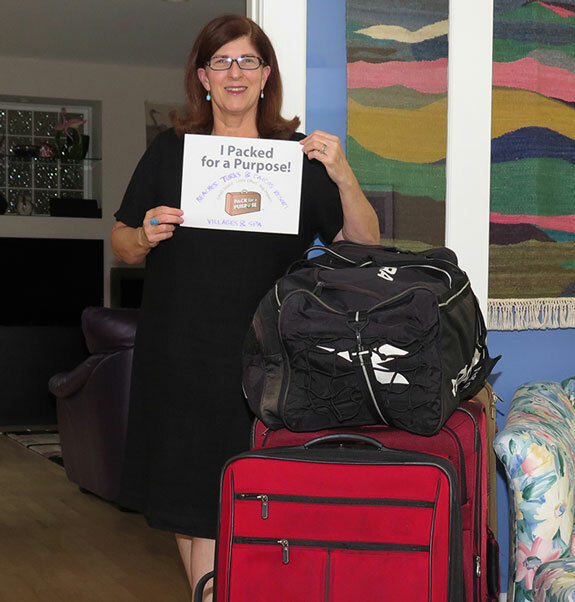 By “packing for a purpose” on our travels to the Turks and Caicos, we (and our fellow participants on the Reading Road Trip) made the trip we took go much farther than the miles we traveled!